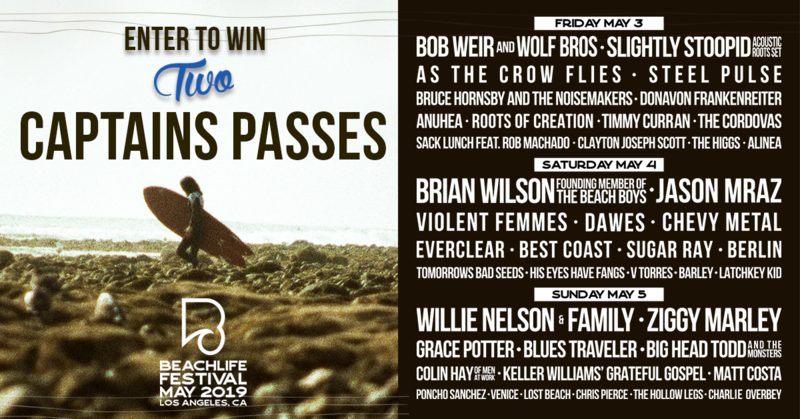 Enter to win a pair of 3-Day Captain's Passes One lucky winner will receive 2 FREE 3-day Captain's passes (worth $5,000) to the first annual BeachLife Festival from May 3 - May 5, 2019 in Los Angeles, California! Maximize your chances of winning! Use the viral share option below to get your friends to enter the sweepstakes - each friend that enters earns you an extra 10 entries! You can also earn additional entries by completing any of the other actions shown below. Enter by 11:59PM PT on Sunday March 24th, 2019 for your chance to win! Good luck!